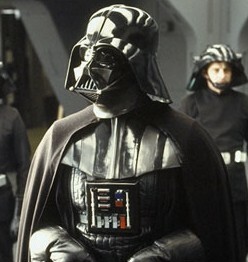 What if: Could Anakin Skywalker have chosen not to become Darth Vader? In Star Wars Episode III, The Revenge of the Sith, Jedi Master Mace Windu and Sith Lord Palpatine (aka Darth Sidious) are engaged in battle when Anakin Skywalker enters the room. As Anakin watches on, Palpatine fires force lightning which Windu deflects with his light saber. Locked in this struggle, the Sith looks at Anakin and cries out that he must choose whom he will help. The young Jedi is faced with a decision. Help Mace Windu defeat Palpatine. Help Palpatine defeat Mace Windu. In choosing to help Mace Windu, Anakin can reject the Dark Side and fulfill the prophecy that, as the Chosen One, he would bring balance to the Force. However, Anakin is fearful of losing Padme and wants Palpatine’s help. In helping the Sith Lord, Anakin would be completing his journey to the Dark Side and becoming Darth Vader. It appears that Anakin has an important choice to make. Or does he? In his essay, Predestination in the NT, which appears in Grace for All; (see post here) I. Howard Marshall compares the meticulous view of God’s sovereignty (aka Divine determinism) to an author writing a script. In this post we will flush that idea out using the Star Wars movies. By predestination we mean the eternal decree of God, by which he determined with himself whatever he wished to happen with regard to every man. God in eternity past decided what would occur in the creation that He would make. We could see why Marshall would compare this idea to an author writing out a script for a movie. If God wrote out the decrees, they would be analogous to a movie script. Meticulous sovereignty also rejects that the decrees are influenced or based on future actions that are foreknown. It stresses that all foreknowledge of future actions is based on the decrees that preceded them. Continuing with the analogy, we can know in advance what is going to happen in the movie because we can pick up the script and read it, knowing that what we are about to watch is going to follow along with what was written prior to the film being made. When God says let there be light that is the beginning of creation and the decreed story begins. This is very similar to the director yelling – lights, camera, action. The story comes alive, but all that occurs has been predetermined by what is written in the script. So as Anakin stares at the two warriors locked in battle and contemplates his decision, we look to the script and see that the script denies Anakin an actual contingent choice. Anakin cannot choose #1, because the script is written so that he will choose #2. It is at this point in a discussion on meticulous sovereignty that proponents start to deflect from this analogy.The discussion usually moves into debates about compatibilistic choices, which are still rooted in the choice being fully determined ahead of time, moral responsibility, and whether foreknowledge allows contingent choice (see this post for details). After all, proponents of meticulous sovereignty will argue, we all knew before we saw Episode III that Anakin would become Darth Vader. Therefore, Anakin never had a contingent choice even if there was no script and nothing was decreed ahead of time. He had to choose to help Palpatine. How did we know this? Because we saw the original trilogy (Episodes IV – VI). Our knowledge seems to limit Anakin’s choice. But take a moment to consider something. When you watched Episodes IV-VI did you cause Anakin to become Darth Vader? Of course not. We knew what Anakin would choose in Episode III, but foreknowing an action that will occur in the future is not causative. The actions cause the foreknowledge. Did the creator of Star Wars “permit” the slaughter of Jedi Younglings when he wrote that into the script? Or did he “author” it? 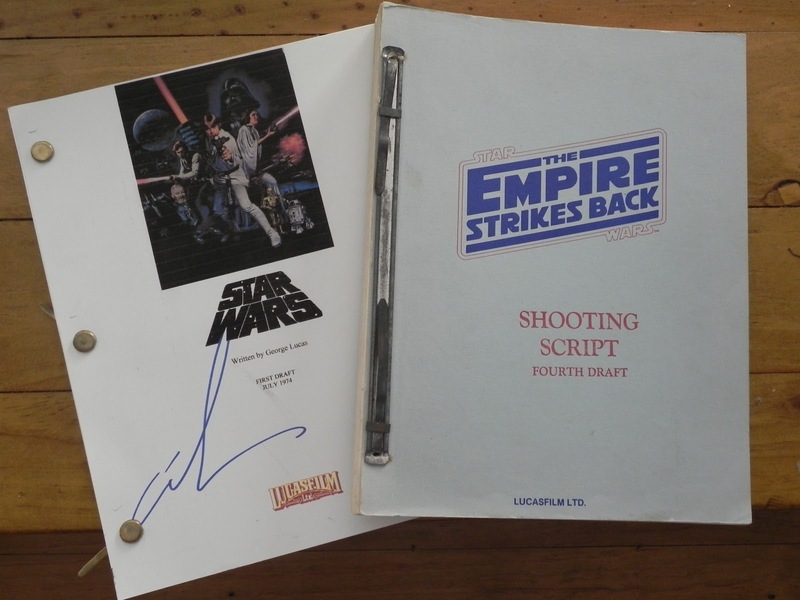 Is Anakin Skywalker “choosing” to join the Dark Side when he plays out his part in the script? Is Anakin Skywalker “morally responsible” for killing the Jedi Younglings as he plays out his part in the script? What part, if any, did Anakin Skywalker play in the repentance of his evil actions in Return of the Jedi, which allowed him to exist as a Force Ghost after he died? Did the creator of Star Wars “bypass” Palpatine when he wrote into the script that he would remain wicked and perish? Or did he “choose” to create him with the intent of perishing? Did Palpatine “deserve” to be thrown into a reactor shaft for his wicked actions as he was only playing out his part in the script? These are important questions to wrestle with. But it is not until we understand meticulous sovereignty and have a clear picture of what that looks like that we can move on to examine them. Whether you are a proponent or opponent of meticulous sovereignty, do you think Marshall’s analogy is accurate? If you don’t think this is a reasonable illustration of meticulous sovereignty what analogy would you use to explain this view? This entry was posted in Blogging Through a Book, Theology and tagged determinism, foreknowledge, free will, Grace, Grace for All by MikeB (@AnAgileJedi). Bookmark the permalink. Later Palpatine will tell Luke Skywalker that everything is coming to pass as he foresaw (Episode VI). Did Palpatine mean the rebels attacking Endor? Either way, it seems Palpatine did not have exhaustive knowledge since he did not see Vader destroying him. Difficult to see the future is, unless one has read the script… or is God capable of seeing the future. Palpatine was evil. He was flawed by the dark side of the Force. To get into some Star Wars debate (which I love): does the rise of the Sith come from too many Jedis? I have heard this before. Some say that the reason for a Sith lord is because the Jedi have become too strong and need balance. Skywalker brought that balance by bringing the Jedi to just one (Luke). Diving into this from a SW point of view, I would see Palpatine as a force sensitive individual from Naboo who was wicked, being bent on power and immortality. But I don’t think I would say he was flawed by the dark side but rather influenced by the lure of the power & strength he could achieve from it. He, as an individual, made a choice to rely on the dark side of the Force for personal gain, rather than use his force abilities for helping others. Outside the movies he is said to have been trained by the Sith Lord Darth Plagueis. He was never part of the Jedi Order (at least not that I know of). I would then see the rise of the Sith being related to force sensitive individuals, like Palpatine, who choose to go over to the dark side rather than rely on the light side of the Force or join the Jedi Order. I have not heard of the rising of Sith being related to the number of Jedi that exist (but I am sure fans or other story arcs may offer such a view). Regarding the prophecy, what the balance that is to be restored by the chosen one is debated (at least it is by SW nerds). In a Clone Wars cartoon episode, Anakin is faced with helping a powerful figure (the Father) keep his children, who represent the light side and dark side of the force, contained on the planet Mortis so they do not upset the balance of the Force. If this what the balance refers to then the prophecy would not seem to relate to dealing with Palpatine or the Sith. Other story arcs and most fans see Anakin as the “Chosen One” who would bring balance (ie peace) by destroying the powerful Sith, which was accomplished at the end of RoJ. Thank you, my friend. I have a son who is happy to listen to me about Jesus and his Kingdom. I think he has great respect for my life in Christ, but he can’t get himself interested, and he is open about it. (Age 17). He loves Star Wars, Dr. Who, etc. So this made a great opportunity to get him discussing things relating to the only one who can predestine. (He will engage if I find a theological subject of interest to him, which fortunately are the deeper issues. I always pray God will grab his heart.) He read your blog with groans and out-loud complaints. He’s prone to strong opinions, and in a few sentences gave an in-between idea of choice verse no choice I had never considered. He said Anakim had no choice, but not because of predestination. He was manipulated, and he had insufficient power to resist. I have never considered the ramifications of such an idea. As a Star Wars nerd, I would agree Anakin was manipulated and influenced by Palpatine. As the “chosen one”, it seems it was his destiny to restore balance to the force, which he ultimately did in Return of the Jedi when he sent the Emperor plummeting down a reactor shaft. So it seems that maybe he could have resisted these influences and helped Windu defeat him. Of course it would have made for a much less epic story if he did. Sounds like you son is a deep thinker. And he is right there probably are times (hypnosis is often the example given) that people can be manipulated so that they are not actually the one choosing. Especially the weak minded in the presence of a Jedi mind trick. But in general I think we all choose amidst influence and manipulation and these are certainly factors in how we ultimately decide.